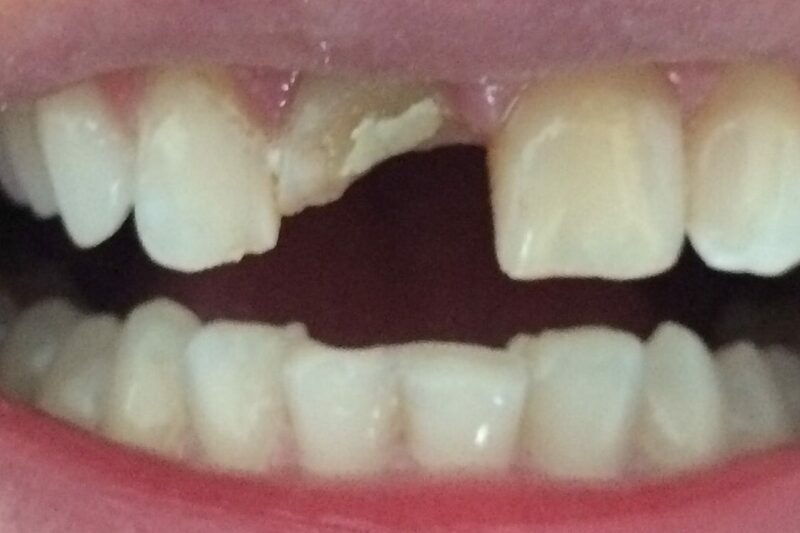 A 28-year-old patient presented with a broken front tooth. 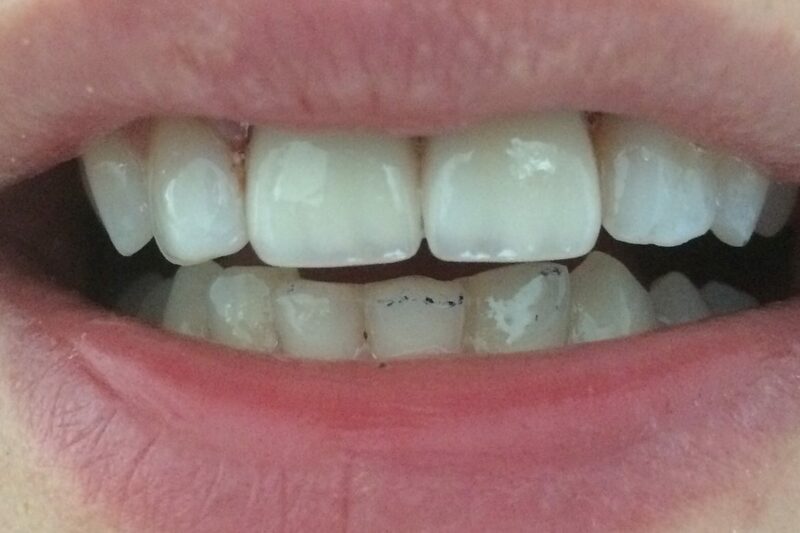 Two front all porcelain crowns were delivered. Another happy patient.